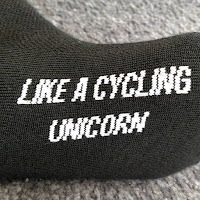 I'm back again with a list that might help you find some fun gift ideas for your favorite rider, or maybe for yourself! There was a solid list for 2017 and I must say that 2018 has a good number of new items to add. I wrote about the Five Ten Freerider Pro shoes earlier this year in my flat shoe review. Since then I've had several more miles on them and still really, really enjoy them. They have been my go-to shoe for just about every ride this season. I have stayed true to my original idea and have not worn them to work. The only gripe I have with these shoes would be the lack of lace bungee. I have a difficult time trying to stuff my laces and they never seem to stay tucked for the entire ride. So far, it's not been a huge deal. Wear-wise being I have only used these shoes for biking, they seem to be holding up well. 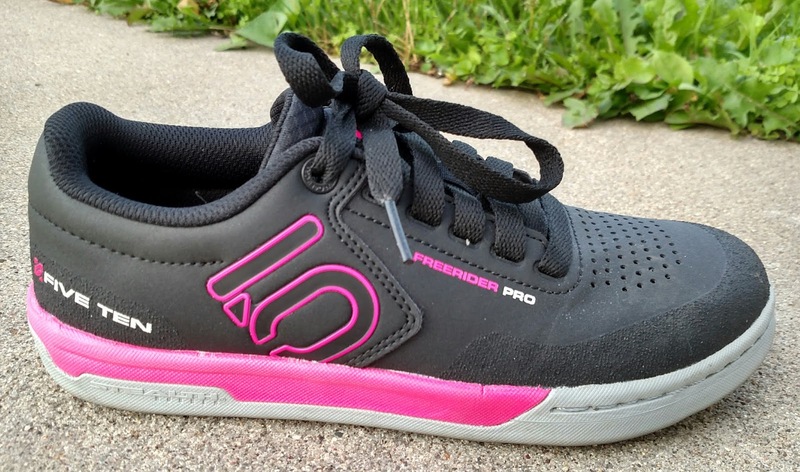 I did wear these shoes at Chequamegon 40 this year and they got annihilated. I rinsed them as well as I could, washed the liners, and put them on top of the dehumidifier to dry. In the end, they survived and that's all that matters! I have been a fan of ESI grips for multiple seasons now with the Chunky and Extra Chunky. This year I transitioned to Fit XC grips on my full suspension S-Works Epic. I would have issues periodically last year with my hands hurting when using my extra chunky or chunky grips if I wore gloves with padding. I had this on/off again love with trying to figure out what combination worked well for mountain biking or gravel riding. 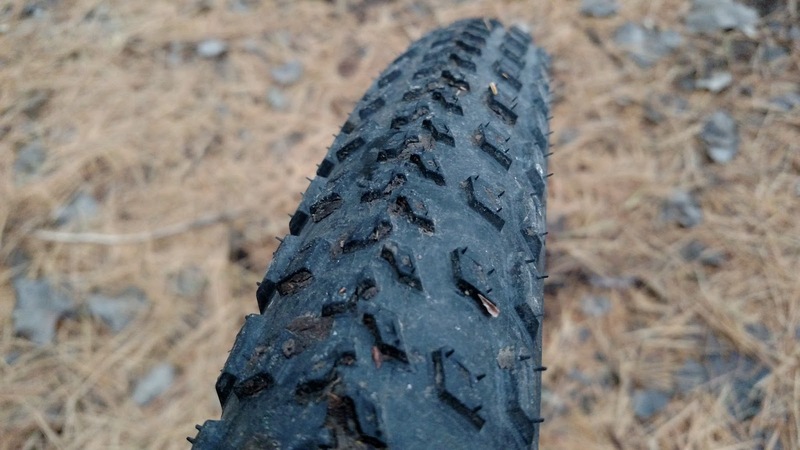 This year I investigated the Fit XC grips with several different gloves of varying padding, either without any to somewhat substantial for a mtb glove. I found that I liked having less grip to grip! The design of the grip worked well for climbing and general riding. All in all, I felt like I was able to maintain a better grip without experiencing so much hand fatigue. I still have Extra Chunky grips on my hardtail S-Works Epic, but that shall be changing before too long I think. This jacket has been a game changer for me when it comes to my daily commute, and I'm positive it will be a heavily utilized article of clothing this winter. The Polartec Alpha insulation is amazing and the jacket itself is breathable yet very warm. It's meant to be used under other jackets, like the Specialized H20 jacket. 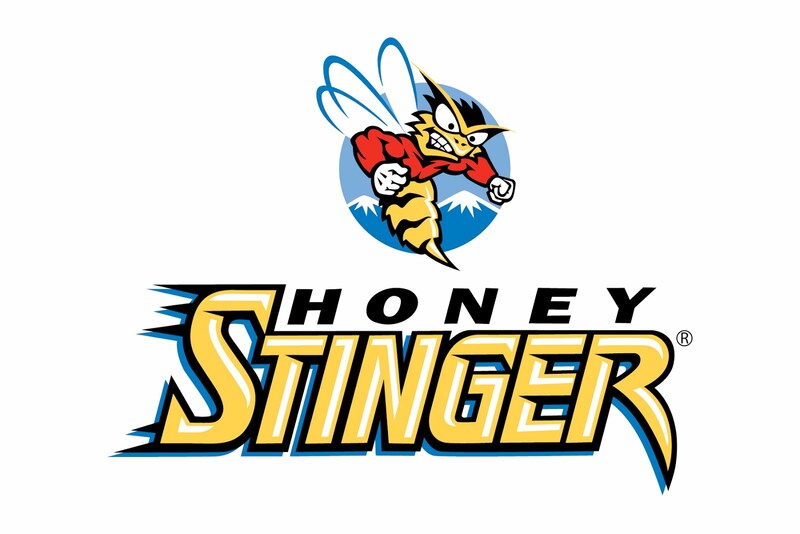 I wore it over a baselayer during a 28-degree morning and was super surprised with how comfortable I was the entire time. This jacket has also allowed me to use a softshell jacket for commuting far longer than usual. A really great investment piece that will help keep this perpetually chilly person much warmer. 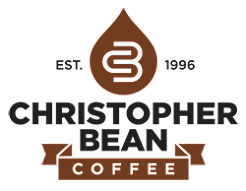 I found Christopher Bean Coffee though some mountain biking friends of mine and thought I'd give it a try. I love coffee, I wouldn't say I'm a connoisseur, but I really love coffee- especially when I can grind my own beans! There are many flavors to choose from if you are feeling adventurous. 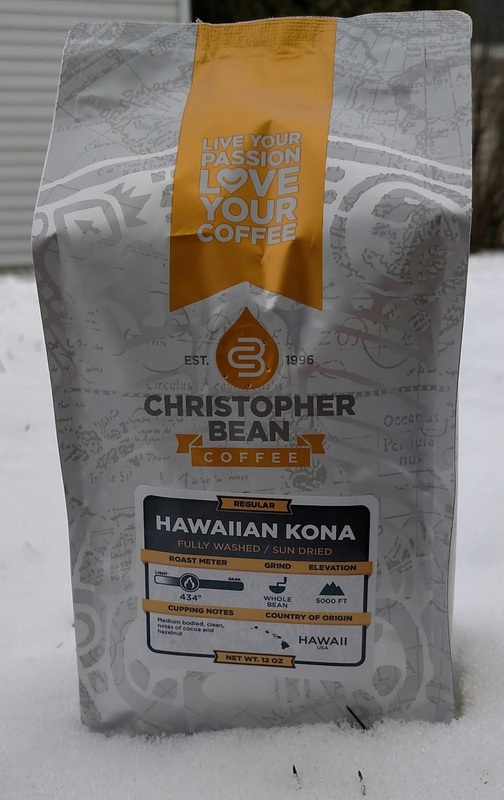 My current favorites are Dawn Patrol, Hawaiian Kona, and French Roast Sumatra. The nice thing is they roast when you order, so it's darn fresh when it arrives on your doorstep. It's been said multiple times this year, but many know that my dad passed away and it's been extremely hard on me. I've also known that I've dealt with some amount of anxiety for many years, and with this upheaval in my world, it grew a tremendous amount. I was having more pain and discomfort with my neck/shoulder, and simply grew frustrated over popping ibuprofen multiple times a day without relief. 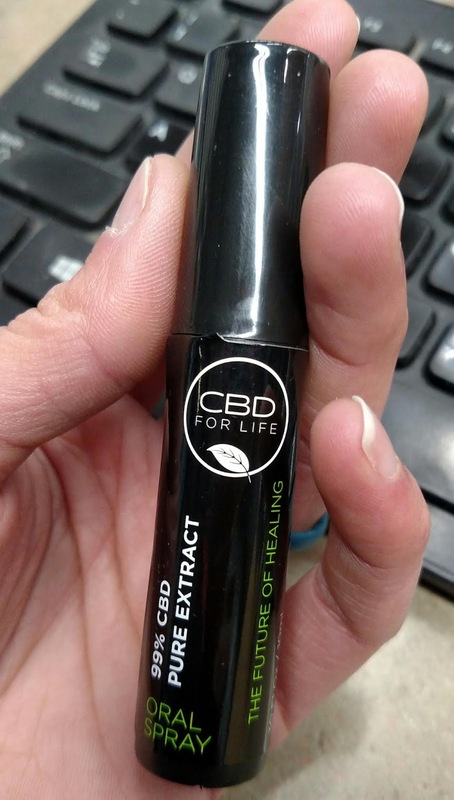 I found the company CBD For Life and decided to try their CBD spray. I liked how it was packaged- easy to transport. No glass to worry about breaking. It looks like breath mint spray. It is 99% CBD pure extract without any THC. I was getting on a daily basis, and it helped me focus. Life threw me a curveball and this spray helped me feel like I could maintain some form of sanity and control. The product costs $69 and feels like a very luxurious cream. You do not have to use very much, at least from my experience. It rubs in easily and they say not to rub any on the affected area more than 3-4 times a day. 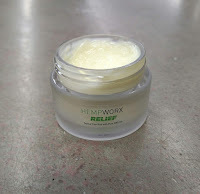 This cream is infused with 50 mg of CBD Oil and Emu Oil and has no THC. There is menthol in the product, but honestly, it smells so minimal and doesn’t have that harsh “cold” feeling you get from other products. It’s not a sinus-clearer! This is great for me as I often seek out something to use, but smells are a concern for me since I work retail. As much as I love the smell of Icy Hot and other similar products, I don’t want to impose the smell on someone who doesn’t appreciate it. I won’t say that I’ve found 100% instant, perfect, relief but it along with other products has definitely helped me cut back on my Ibuprofen use by 99.9%. It is definitely worth exploring if you are not a fan of greasy “ointment” style rub and would prefer something more like a lotion. The added bonus of not smelling strong makes it easy to find relief without the whole world knowing. I’ve had the container of rub for over a month and I don’t think I’ve even used half of it. I use it as needed when I’m at work and as I mentioned before, I feel I only need to rub in a small amount at a time. So, for the cost, I think it is a good value. 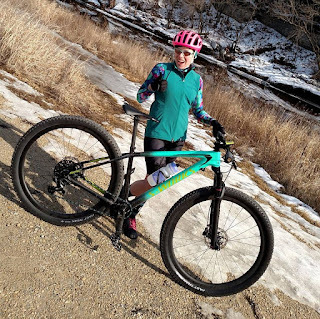 These tires came stock with my full suspension S-Works Epic and I have been super impressed with how well they've handled our terrain here in Decorah. On top of that, we've had such wet weather this year, and they have done amazingly well when conditions have been on the greasy side! We changed my full suspension S-Works Epic to having 2.3 size tires on the front and rear vs. having the 2.3 in front and 2.1 in the rear. I really liked the extra cushion they gave along with the added stability and "bombability" the size offered. These tires also make an excellent gravel tire. I currently have my hardtail set up with the 2.3 size in front and 2.1 in the rear. This bag was a saving grace even tho the sound of my snacks rattling around drove me up the wall! Going over roots and rocks? You better believe I was serenaded with the sound of chews and M&M's being thrown all around the inside. 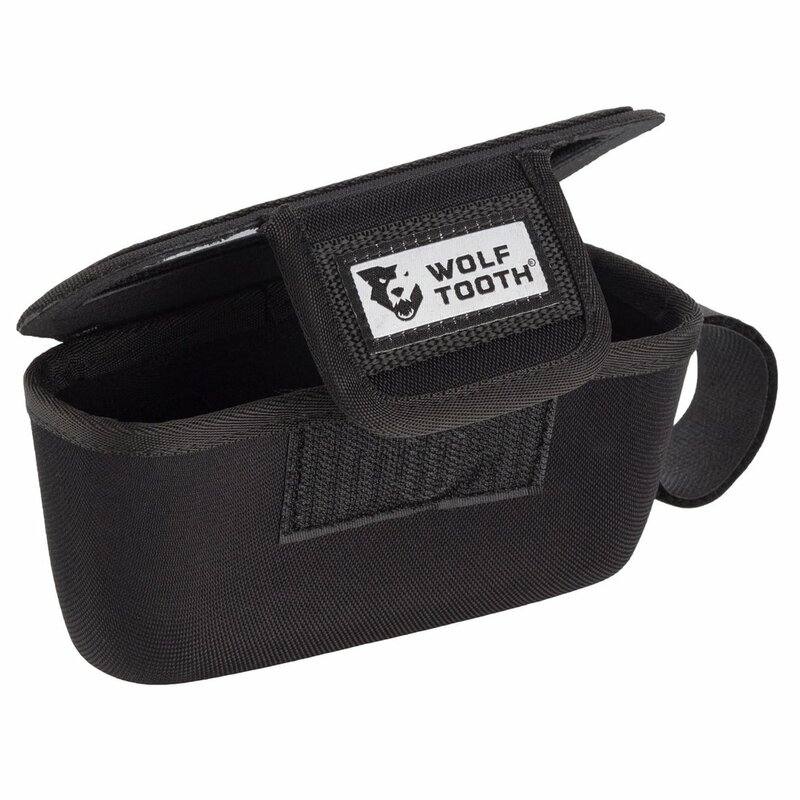 The bag is awesome as it's easy to get into, room enough for ample snacks. This made it far easier for me to consume items or stow used gel packets away (rather than jersey pocketing them, etc.) I was able to tune out (for the most part) the noise of my snacks rattling around, but when you go over really bumpy spots on trails, etc. it can be annoying. Again- if you don't put M&Ms in your bag, you'll be fine! 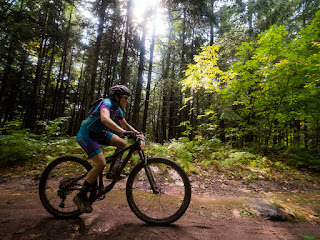 Chequamegon use was imperfect since it was so wet. It rained on our bikes before the event (our bags were already on...oopsie), and the conditions in general were wet, so mud/water splashed up on my gloves causing my snacks to be seasoned with Wisconsin Grit. Delicious! All in all, this bag was worth the investment and I will be using it for future events without question. These bars are delicious! I can't get enough of them and I've found them to be a delightful snack. 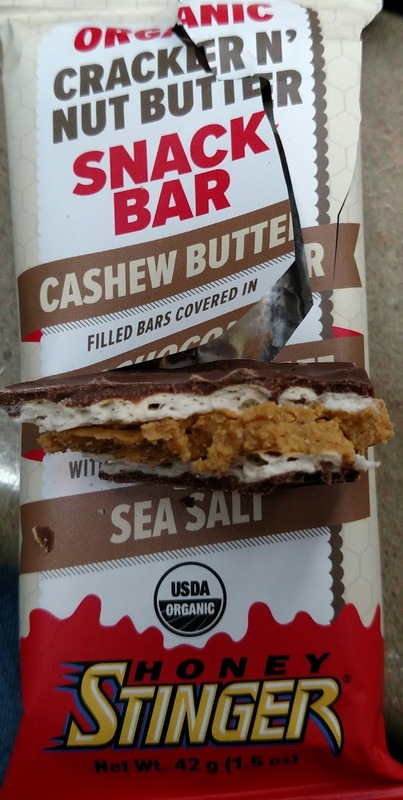 The two flavors I've been eating have been Milk Chocolate & Cashew butter and Dark Chocolate & Almond butter. The dark chocolate is rich and the milk chocolate is quite nice and smooth. It's legit chocolate! The butters are both excellent, too. I especially like when extra chocolate gets between the crackers, so you get a really chocolate-y bite. It's not something that I would take out on a ride so much as enjoy pre or post ride. Mainly because you wouldn't want to have a warm and melted mess to eat. It's been hard for me to find a helmet that would stay comfortable on my head during 40+ mile rides. Even with my POC helmet, I found myself having some headaches crop up after so many miles. This helmet is lightweight and it fits oh so well! I have worn this helmet for several longer mile rides, but enjoy using this helmet on the mountain bike trails, too. I really like how streamlined it looks and it vents very well- a plus for hot days. Plus, I like that it has just the right bit of pink color to tie in with McNasty. We invested in a GoPro so I could better showcase the FWD rides. Unfortunately, I didn't get to play around with it for that as much as I would've liked. 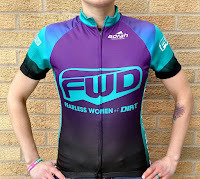 However, I was able to use it for taking video of our trails to start the Fearless Women of Dirt YouTube channel. I will say it's been fun to play around with the new technology- figuring out the best way to get action shots that I can use for blogging, etc. It also gave me the motivation to get outside and do something to keep my mind off of life stuff! What I have learned is the timelapse photo option works great for getting action shots. You do have loads of pictures to delete- but clarity is improved vs. taking video and snagging a still. It's been handier for me to use the GoPro vs. my phone, and even Travis has found it less frustrating to get photos with it vs. using my phone. The annoying part for him is when he's holding the button down to get a burst of photos, the back screen is black, so he isn't able to see what he's taking a picture of. (Or to see light quality, etc.) Either way, I've enjoyed having this little action camera and I look forward to learning how to use it better. This balm is on the list again because it's just my favorite. I love the sparkle that the desert Shimmers lineup gives, and lavender has been my wintertime go-to. 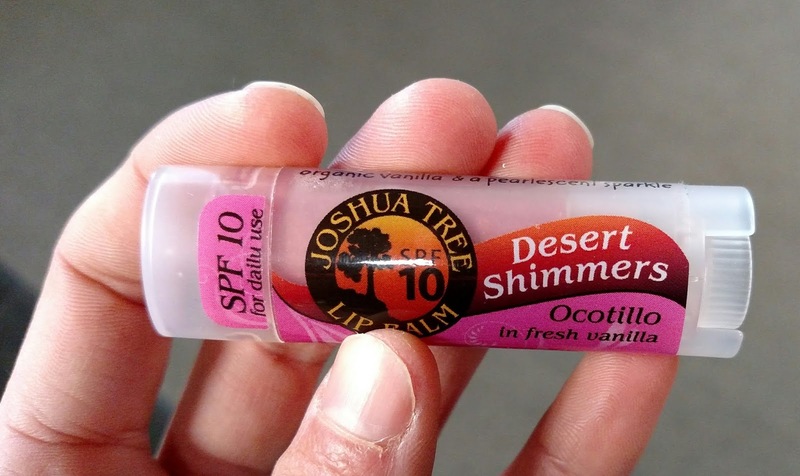 The nice thing about the Desert Shimmers balm is it has SPF 10- great for added sun protection for those long rides. Perfect size for your pocket! 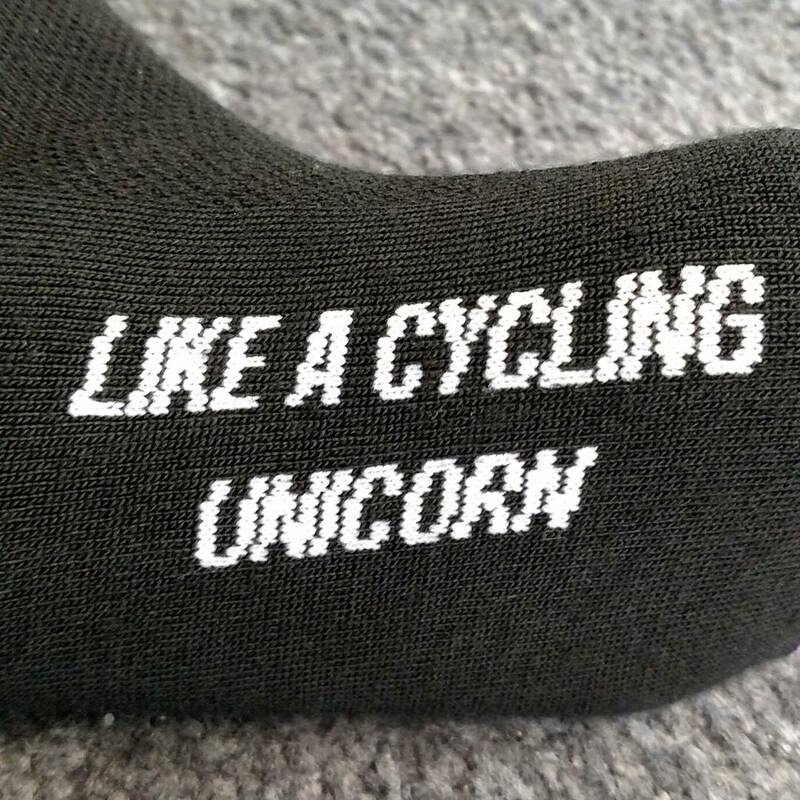 I have one with me at all times on or off the bike. I did find for Chequamegon, it was almost too little water. This was more or less due to the muddy conditions and my having to use some of my water bottle mix to clean my chain off. I was getting to the point of running out of water all around- but if conditions had been drier, I suspect I would have been fine. I do tend to drink primarily from my pack when I'm racing- but I'm trying to be equal between the bottle and bag so I can have less weight on my shoulders. 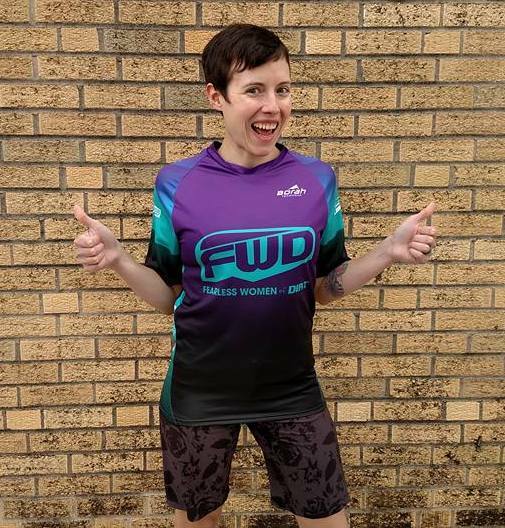 Last year we made Freeride FWD jerseys and this year we made full-zip, sshort-sleevedjerseys! 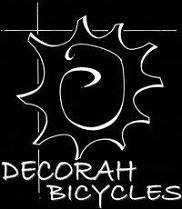 Either jersey can be purchased from Decorah Bicycles and shipped to your door. 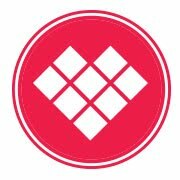 Borah has been a great company to work with and I couldn't be happier with the design. It's been awesome to see these jerseys out in "the wild!" 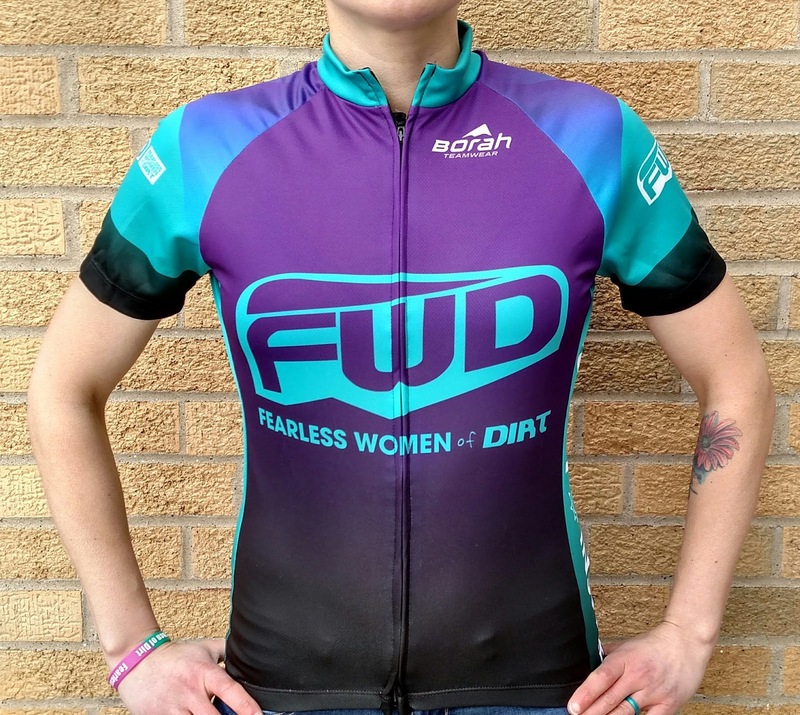 Click here to see the rest of the Fearless Women of Dirt gear, including socks! I promise to do a review on my hardtail S-Works Epic, soon. Maui had a good number of trail rides this year for me to fall back in love with hardtails. I was also shocked as to how I loved riding Maui on pavement/gravel rides. The carbon frame is a dream to ride- it isn't going to be the bike you'd want to ride over the bumpiest of trails (at least, I wouldn't want to!) but I had a great time riding the bike on my local trails. I especially appreciated how light the bike was when I would do trail checking after some big storms and would have to carry my bike over several trees.